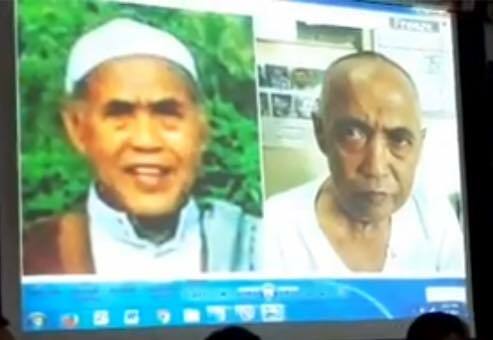 DAVAO CITY, June 6 (PNA)-- Task Force Davao and Davao City Police intercepted an elder member of the Maute Group and his family at the Sirawan checkpoint in Davao City Tuesday morning, Davao City Police Office (DCPO) Director Alexander Tagum said. Casamora Maute, who is the first Maute member in the gallery of terrorists, is a suspected Maute leader. He was nabbed along with his son-in-law, daughter-in-law, and Ominta Romato Maute alias Farhana, believed to be the wife of Casamora. They were onboard a black Toyota Grandia van. Authorities released the driver of the van. Authorities at the checkpoint suspected Casamora to be concealing his identity by wearing a face mask and sporting a clean cut image, prompting them to hold the family.